By determining the right keywords you will get more visitors or traffic on the search engine and website / blog optimization with keywords will help your blog rank faster. When a blogger is confronted with SEO, keywords are the most important thing to learn.Surely sometimes the question "why it is so difficult to be on the first page of search engines". The reason that makes the most sense because some posts you make do not or lack the keywords that support. Because basically the post that is on the front page of the search engine is a post with keywords that are searched by users globally or keywords that umun and most sought by the user. But the thing that you should think about is that nowadays due to the changing search engine algorithm has changed the way the bloggers look at doing Search engine optimization. Keywords are crucial to ranking content, what do I mean by ranking? In this context, it means ranking for a particular keyword. So as a blog writer you should better understand how to target keywords for your posts and also do not forget to understand the most fundamental part of doing SEO. You should know the following terms before defining keywords. First, Short Tail Keywords: short keywords consisting of 1-3 words. for example: How to create email, professional email. Second, Long Tail Keywords: More specific keywords that can consist of three words or more. for example: How to create email, How to get professional email. 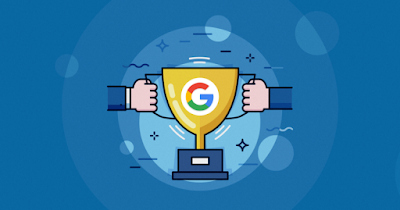 Words that qualify as keywords when having a large number of searches (Search volume) or most frequently searched within a month.Long Tail Keywords (long tail keywords) are more profitable because it will have more chance to be clicked by visitors. Let's say a short keyword "makes email" with long-tailed keywords "how to create a new email". Surely visitors will prefer to click on longer keywords because the reasons are more specific and detailed. Are Keywords Important In SEO?When we melakuakan SEO optimization on the post or web page, of course we have a free choice to determine the targeted keywords. 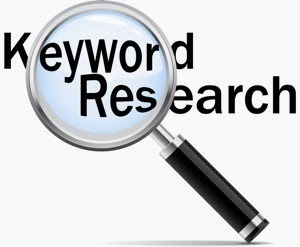 In 2012 determining keywords with meta keywords is the most powerful way to win keyword competition. But now the 2016 meta keywords are almost no longer used or is not useful. Due to algorithm updates, search engines have turned smarter to automatically detect keywords and web page rankings.Currently Google does not consider meta keywords when choosing keywords, maybe this happens because a lot of bloggers who write articles or posts and then add excessive meta keywords. So the conclusion is now that search engines are much smarter in detecting keywords.How to do keyword research? Then write down the keywords you want to search. Then Google will suggest keywords in search like the image below. Next you can choose and combine the keywords you want.Next after that set keyword density and keyword placement. Keyword density is a complex topic. Depending on the target keyword, (long tail or short tail), you maintain a certain percentage of keyword density. When bots crawl your pages, they can determine from keyword density.In conclusion that keywords have an important role in SEO, where with the keywords of a post will be able to compete on search engines. In this post I just explained a little about how to determine and do keyword research. My focus on this article is how you understand about keywords in seo. Actually, many ways to research keywords include keyword research with BING webmaster, keyword research with Google Adwords Keywords Planner and Many Tools that can be used for it.Okay so this article I write, if you like this article you can share it and also do not forget at Like. May be useful.